The fall-out from Ireland's UEFA Nations League ill-fortune continues today, with the holy trinity of Eamon Dunphy, John Giles and Liam Brady criticising one routinely cited aspect of Martin O'Neill's management. The Republic of Ireland fell to a 1-0 home loss against Wales last night in a result that could have severe repercussions for their Euro 2020 qualifying seeding. They lined out in a 3-5-2 formation, with Fulham right-back Cyrus Christie once again playing in centre midfield. Throughout O'Neill's reign, the lack of tactical preparation or team selection methods have attracted attention. He is renowned for naming his side an hour before kick-off and doing little work on the training ground, something Liam Brady, in particular, took issue with. Dunphy: Can you walk into a dressing room and deliver the team one hour before the game. All of a sudden you are playing three at the back, in this case Shane Duffy, Keogh and Kevin Long, with wing-backs and you haven't worked on it before during the week. That is simply mad, isn't it? Brady: It is. That's just not the way it is in the modern game. That is (not) the way it was! When I made my first appearance for the Republic and John (Giles) was the manager, John told me where I was supposed to be in certain positions as regards to the midfield to where he would be, to balance it up. If the full-back went forward, that I should be in this kind of position. That's what a player needs before he plays a game, he needs to know what the manager is looking for. The way that Martin is doing it, and it is coming out more and more now, that the players, we are getting leaks from the players that there is hardly any preparation. There's not a lot of time spent on set-pieces and I think that is shown, we haven't had enough goals from set-pieces. A set-piece isn't just good delivery. They have to be a bit of invention, a bit of movement that the opposition are not expecting. I don't see any examples of that. I don't even see us trying anything that could work. Obviously, that is a big problem with the way O'Neill manages. 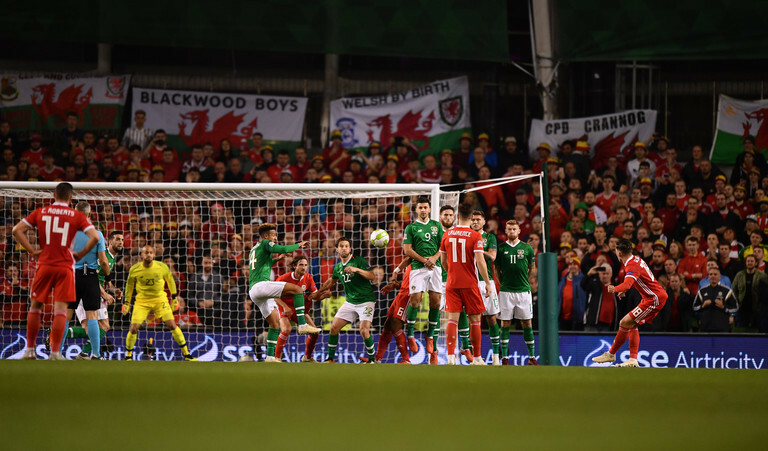 Dunphy went on to cite the wall that Ireland set-up with for Harry Wilson's free-kick as evidence of a lack of organisation: "If you were managing an amateur team you wouldn't let this happen. Harry Ater is the smallest guy in the team!" To which Giles responded that it is down to "a lack of preparation." Brady did later clarify that the information was coming from former players: "The word is they don't practice things. I don't know, I have to say I don't know. I have no information that is the case but I know some of the players who have not long left the Irish team, who are still in contact and say that preparation simply doesn't take place." "It's well documented he doesn't do much team shape or organisational stuff, that's just the way he is. That's his management style, probably going back to what Brian Clough did to him and he's taken that on to his management style." There were times you would turn up on a Friday, and you wouldn't know what formation you're playing on a Saturday, he'd just read a list, and I'd have to look at Neil Lennon and ask: 'What formation are we playing?' There was no information whatsoever. Interestingly, Chris Sutton offered a different view prior to Tuesday nights game. He told Virgin Media Sport that this is not his experience of playing under O'Neill: "I take issue with the point, I've heard this a few times, that players aren't coached." "I played under Martin for 4 years, and I never stepped across the white line and didn't know what my role was." Just this week, Cyrus Christie confirmed he learned of his new position just an hour before kick-off. It seems that O'Neill is sticking with his unconventional approach. As for Dunphy, Giles and Brady, the podcast in its entirety can be found here.